Succulents are the easiest of all plants to care for. They do not require frequent watering or care. Since they are so easy to please, you can be sure that they are suitable for any recipient - even those without any experience growing potted plants. 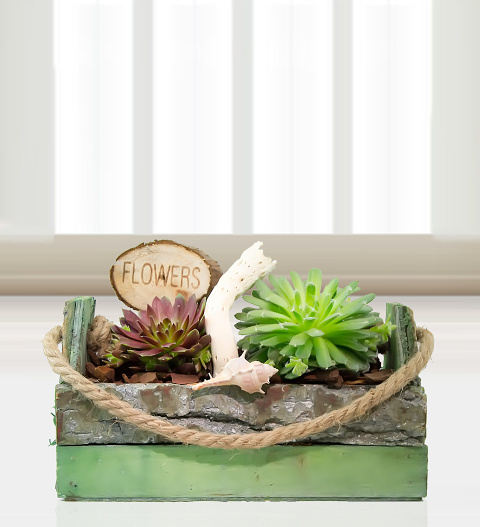 These succulents are planted in a lovely trough along with a gorgeous flower wood pick and shell.